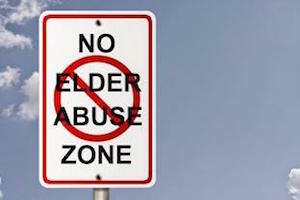 Underreported elder abuse is a major problem in nursing homes according to recent studies. An increasing number of Californians are living longer, and some are living into their 90s. As people grow older, they may need nursing home care. Unfortunately, nursing homes are the setting of many cases of abuse and neglect. A recent federal audit demonstrated that nursing home abuse is a serious problem, and some nursing homes fail to report abuse that has happened to law enforcement agencies and families. The Health and Human Services inspector is engaged in an audit of Medicare, which pays for hospital care and doctors’ services for disabled and elderly people. Medicaid is responsible for paying for a large percentage of elderly people’s nursing home expenses. When nursing home residents suffer injuries, including from assaults, they are sent from nursing homes to the hospital for treatment. Medicare rules mandate that suspected abuse or neglect of the elderly and disabled are reported to law enforcement officers immediately by the hospitals and doctors that are providing medical care. If the abuse and neglect are not reported, nursing homes may be fined up to $300,000. The audit found that Medicare is not enforcing this law by imposing the fine for failures to report, leaving many elderly people at risk. Auditors reviewed data from 2015 and 2016 from the emergency room visits of elderly nursing home residents. During that two-year time period, the auditors found 134 cases in which sexual or physical assaults of the elderly patients was documented in the hospitals’ medical records. The greatest number of the cases occurred in Illinois with 17. Illinois was followed by Michigan, Texas and California with 13, 9 and 8 cases, respectively. Out of the 134 cases involving suspected sexual or physical abuse, 28 percent appeared to not have been reported to law enforcement agencies as there was nothing in the hospital records indicating that reports had been made. Out of those unreported cases, a shocking 80 percent involved suspected sexual assaults and rapes. These apparent failures to report occurred despite the fact that the federal law mandating the immediate notification of law enforcement authorities has been in effect for more than five years. Under the law, the staff members of nursing homes are required to report incidents resulting in serious bodily injury to the authorities within two hours of their discovery. If no serious bodily injury results, the reports are supposed to be made no later than 24 hours after the incidents’ occurrences. The Health and Human Services secretary issued an early alert about the problems. He stated that Medicare has inadequate measures in place to ensure that its recipients who live in nursing homes are not being subjected to neglect or abuse. The reporting failures are serious problems and are likely to worsen if better reporting mechanisms are not put into place. Currently, around 1.4 million people live in nursing homes in the U.S. As the baby boomers age, the nursing home population is expected to burgeon. When elderly nursing home patients suffer abuse or neglect in their residences, they may have remedies available to them through both the criminal justice and civil law systems. Civil claims may be pursued simultaneously with criminal cases against the perpetrators since they proceed under two different bodies of law and in two different systems. As we’ve noted previously, elderly residents in California have a number of legal rights that are codified in the state’s laws. Among the many enumerated rights is the right to be free of mental and physical abuse. As we discussed, there are also many other rights that elderly nursing home residents have, which you can review here. When the rights of nursing home residents are violated through abuse or neglect, law enforcement officials may pursue criminal charges against the abusers if it is promptly reported to them. Because of the potential for the loss of freedom for criminal defendants, the burden of proof in criminal cases is higher than what is required in civil claims. This makes it likelier that elderly abuse and neglect victims may succeed in their civil claims than in the corresponding criminal cases that may also be proceeding at the same time against the perpetrators. Civil nursing home abuse and neglect claims should be promptly investigated. This helps to preserve the evidence of the abuse so that the perpetrators and the nursing homes may be held to be accountable for their actions and failures to act. Personal injury lawyers who are experienced in handling nursing home abuse and neglect matters may understand how to build strong cases for their clients under the existing laws. If you are a nursing home resident who has suffered abuse or neglect, or you are the family member of an elderly person who has been abused, you might want to discuss your case with an experienced injury lawyer in Los Angeles. An attorney may explain the rights that you have and work to hold the responsible parties liable for their wrongful actions. Working with an attorney may help you to recover damages to compensate you for all of your losses.